Yee-Haw! Campbell had MDO today and it was cowboy day! It's pretty awesome timing because Campbell is obsessed with the TV show Sheriff Callie's Wild West. He calls it "Hal-HE". Scott and I have made sure to record every episode we stumble across because it's the only thing Campbell wants to watch right now. He hands me the remote and says "Hal-HE." He's always liked the show and it's always been in our cartoon rotation along with our other Disney Jr favorites (yep we watch a nice amount of TV around here) but he's especially into it these days and I don't mind because I think it's a super cute show. 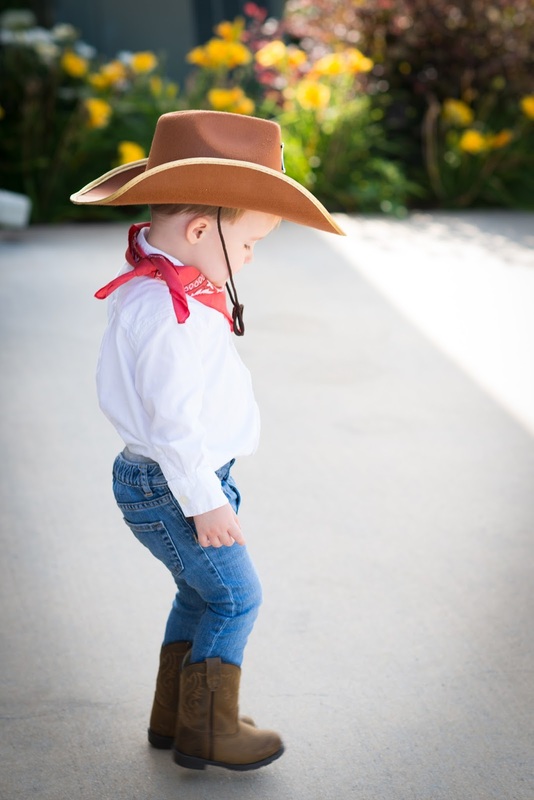 Since he's become so obsessed over the last few months, my Mom bought Campbell these cowboy boots to play around in. I was excited when a note got sent home with Campbell one day saying they would be having cowboy day today because we already had our cowboy gear and I knew Campbell would love it! 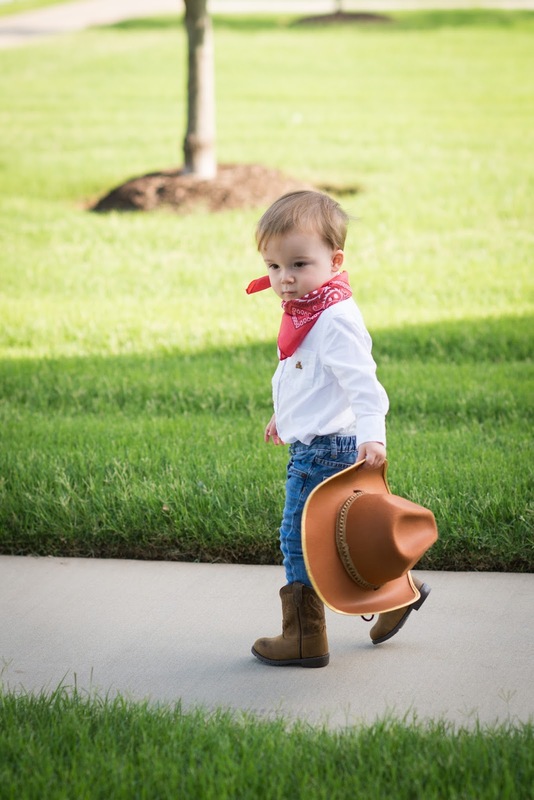 All I had to do was find a bandana and my little sheriff was all set!! Campbell had fun being a cowboy and I couldn't stop giggling at his cuteness before we left the house. Scott wasn't here to see it in person but it may be worth putting the outfit back on Campbell because he missed out on a whole lot of adorable this morning!